Losing patience with my children happens more often than I would like to admit. Something inside me just snaps and then I am left feeling guilty for yelling at my kids when I know it's not the best way. I hate that I do it. And while my children are wonderful at forgiving me after I yell, I wish I could just stop yelling forever. 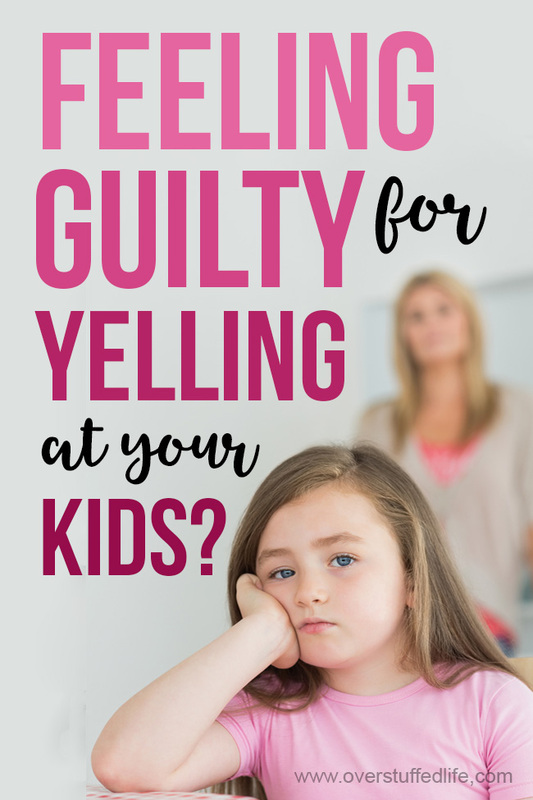 One time I actually did stop yelling at my kids for an entire year, but gradually I let my guard down. I let the things that trigger my anger back into my life, and I started yelling occasionally. Then it happened more and more often, and pretty soon it was like I never even had that year of no yelling. The one thing I learned during that time period, is that when I yell it is never about my child. When I yell at my kids, it is always 100% about me. And that means it is 100% my job to fix the problem. Having the most perfect children who always obey and keep their rooms clean without my having to ask them will not fix the problem (though that would certainly be nice!). I have to deal with the things that are triggering my anger if I really want to stop yelling at my kids for good. 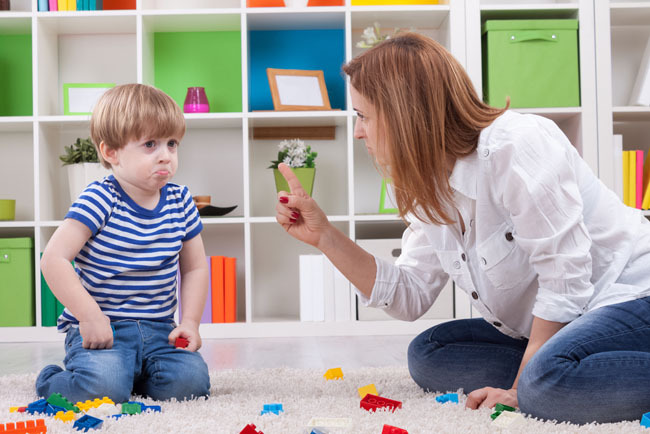 I've come up with five common anger triggers that I experience often as a mother—hopefully understanding them and how you can fix them will also help you to stop yelling at your kids, too. 1. I ask one of my daughters to please unload the dishwasher and she replies, "OK." A half-hour later, I notice that the dishwasher still hasn't been emptied, and my daughter is sitting in the living room looking at her phone, so I remind her and this time she says, "Oh yeah! I forgot!" but doesn't move. When she still doesn't move after several minutes, I ask again. By the fourth time, I have lost my patience and I yell "GO UNLOAD THE DISHWASHER NOW!" She then jumps up from her chair and does the chore. 2. My youngest daughter is incredibly strong-willed and stubborn. She knows what she wants and isn't afraid to ask for it a million times, even after I have already said no and given her the reasons why. I try to use the asked and answered technique with her, and while it works sometimes, most of the time she just continues to push me until I explode at her. It's frustrating to feel like nobody is listening to you! It's frustrating to go upstairs and see bedrooms in a state of complete disaster when you asked for them to be cleaned several times already that day. It's frustrating to be blatantly ignored. The thing is, when your kids don't act until you yell at them, it means you have already trained them that you are only serious about something if you raise your voice. One of my favorite parenting books teaches the principle of only asking children to do something once and then walking away. If they do not do what they are asked, you wait until they ask you for something and then tell them that you will not be doing it for them because they did not do what you asked of them. And then you calmly stick to your guns. 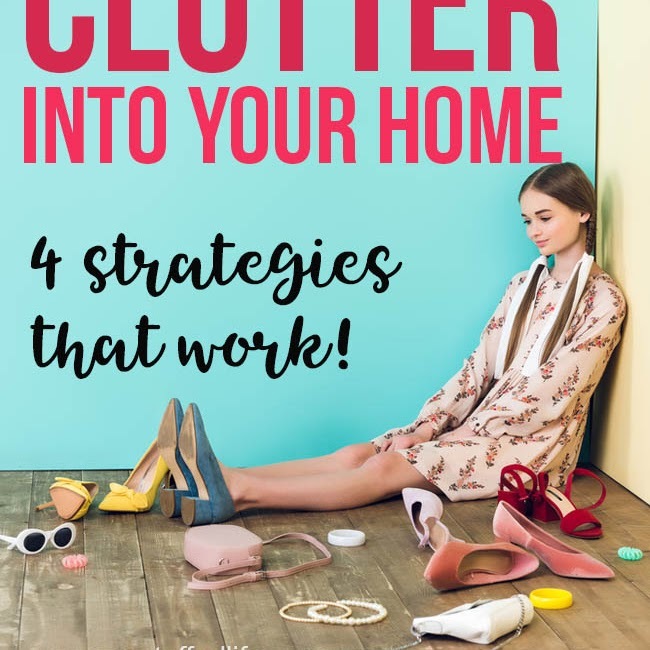 If they want to go out with friends but did not clean their room, they don't get to go—even if they frantically clean their room. It may not be the easiest parenting trick in the world, but it works—after a few times of this happening, they will know you mean business the first time you ask. In the case of the strong-willed and stubborn child pushing for a different answer than she has already been given, the only advice I have is to stay calm and stick to your original answer—but be sure that your original answer is really for the child's best good. If you are saying no as a knee-jerk reaction, perhaps you can look at being more open to the child's request if you don't have a truly good reason to say no. Let them build your trust. Show me a mom and I'll show you a tired woman. It starts with the 2 am feedings and continues until the kids leave the house. You're either waiting up for teenagers to come home or you're simply staying up late to get all the things done because you couldn't do them during the day. But then after you've stayed up so late, you have to get up so early to get the kids ready and off to school, and you end up running on very little sleep. I don't know about you, but much like a toddler, I don't have a large capacity to control my anger when I'm tired. When I am running on 5 hours or less of sleep, the littlest things set me off and I feel completely out of control. 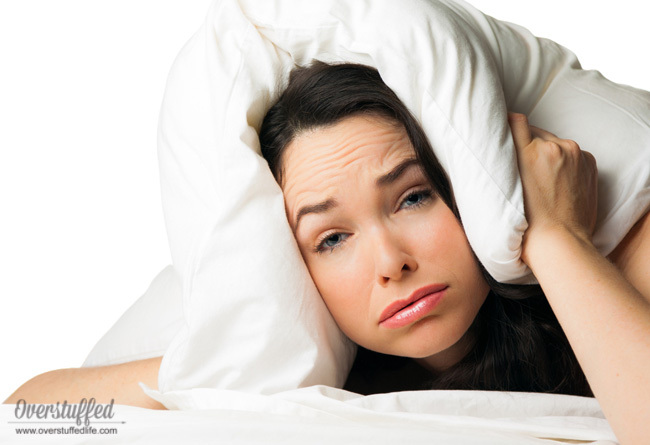 The answer here is pretty obvious: Get More Sleep! But it's more than just getting more sleep. It's learning to get yourself in bed early, no matter what is left on your to-do list. It's making sleep a higher priority than other things. And it's paying attention to how much sleep you're actually getting. I recently bought myself a Fitbit Charge 2 that tracks sleep incredibly well (I used to use the more inexpensive Misfit Shine, but I like the Fitbit much better—especially for sleep tracking). I have an 8 hour sleep goal per night, and it has been enlightening to me that I basically never hit that goal. My current sleep average for this week is 6 hours and 36 minutes. I can run on that sleep okay until I hit a wall in the early evening and start getting really cranky with my kids, but when I get eight hours I don't start getting cranky until much later in the evening. I have two choices—I can take a nap in the afternoon (not usually feasible), or I can go to bed earlier. Still working on it. Related: How Much Sleep Does Your Family Really Need? This may just be me, but I notice a direct correlation between what I am eating and how much control I have over my anger. I will often want to eat chocolate or candy when I am already feeling a little bit stressed, and so I do. As soon as I have eaten all that sugar, I yell at my children. This has happened so often that I finally woke up and realized that the two were related. I have also noticed that when I am eating a balanced diet, when I don't let myself get too hungry (low blood sugar is bad for my temper!) I am able to stay much calmer with my children. The anger I experience due to diet is 100% physiological, which is much more difficult to control for me than a purely emotional anger is. Again, it's an obvious fix—pay attention to your diet and how foods affect you. I know that sugar affects me in adverse ways almost immediately after I eat it. Others may not have such a drastic reaction, but I think many do. I am currently off sugar for several reasons and it is clear that my mood and temper are much more even because I am not eating it. Moms have a lot on their plates. They are basically the CEOs of their homes which means they have to juggle kids, finances, cleaning, shopping, schedules, and a myriad of other things. When there is so much going on, it is really easy to get overwhelmed—especially when you start feeling like nobody else is helping out. This is probably the reason most of my mom-yelling happens, and it's always due to being overwhelmed with cleaning the house. Sometimes I'll spend all day cleaning downstairs only to go upstairs and see the state of my children's bedrooms and then, well, you know what happens next. But it's because I've already worked so hard and I look at how much MORE work needs to be done and I feel that nobody has pulled their own weight. First of all, you'll be less overwhelmed already if you are getting enough sleep and eating right—at least that's what I've found in my life. Second, start paying attention to the things that overwhelm you, and then come up with a plan to keep them in control. Like I said before, for me that is cleaning the house. I've tried lots of different things over the years to help me keep on top of it, and the key is simply to stay on top of it in any way I can! Third, make sure your family understands your expectations for helping you. If you lay out clear expectations before you become overwhelmed, everyone will be more likely to do their part and you are less likely to get stressed out. If you are overwhelmed by keeping the house clean, make sure you assign chores to each family member and have a good system for keeping track of those chores. If you are overwhelmed by making dinner, make sure you have a meal plan in place and set a rotation for each family member to help you with dinnertime chores. If you are overwhelmed by your busy schedule, set firm priorities and learn how to say no when necessary. Another time when I notice myself yelling more is when I am unprepared for the next thing. Maybe I didn't remind my kids to prepare their backpacks the night before, or I got involved on Facebook and forgot about an appointment until five minutes before we need to leave. Again, when I yell in these situations, it's because I'm the one who dropped the ball. 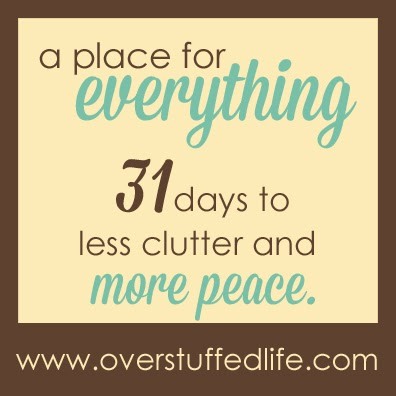 It's my job to stay organized and help my kids to be organized. It isn't fair to them when I'm screaming at them to get their shoes on so we can leave when they only had 30 seconds warning! Another possible trigger in this case may just be the fact that if I am on social media or electronics too often, I get grumpy—just like my kids do! There is a case for limiting screen time for moms, too! Find a planning system that works for you. For me that is a paper planner and a whiteboard calendar. For others that is a google calendar or another digital app. It doesn't matter how you do it, it just matters that you do it. Once you know which planning system you like, spend a little time each day making sure you have a plan for the day and that you know what's coming at you. It's also extremely beneficial to establish regular routines in your household. We have a nightly routine for the school year which helps our mornings to be yell-free. Notice where things fall apart and see if you can fix it by creating a routine around it—you'll be surprised at how well that works. And, finally, in the case of screen time, come up with a way to limit yourself if you find it makes you grumpy and more inclined to yell. Moms may yell because they are experiencing depression that needs to be treated by a qualified professional. If you are doing your best to avoid your personal anger triggers and still find yourself being irritable and screamy, it's a great idea to go see your doctor and talk about the possibility of depression and/or anxiety, as well as the possibility of medication or other things to help. Think about the last few times you yelled at your children. Can you remember why you yelled? What was going on in your home, in your life, or in your schedule when you yelled? Were you tired? Had you just eaten a pile of chocolate covered cinnamon bears? What could you have done differently, and how can you prevent it from happening again? Let me know in the comments what your yelling triggers are, and let's have some great discussion on how we can eradicate the anger triggers and stop yelling for good.